Many small towns throughout rural Ontario have watched their historical charm slip away as their downtown heritage buildings get demolished and replaced with bland, new construction. 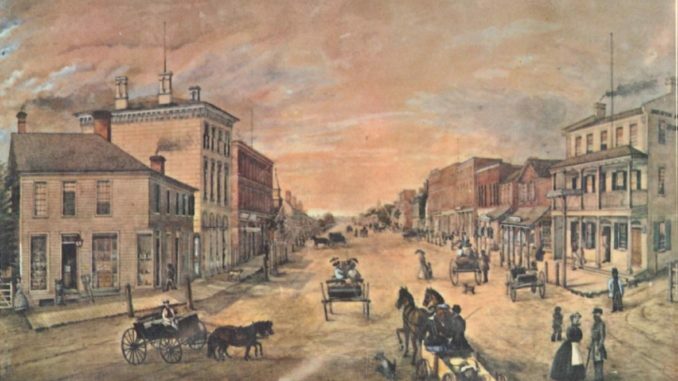 Picton was no exception, where many older buildings were torn down on the western end of Main Street were torn down to make way for shopping plazas. The pressure was only expected to continue, so in 2016 the Municipality implemented the Picton Main Street Heritage Conservation District Plan. The HCD as its called, covers Picton Main Street from the LCBO area to fairgrounds at the other end of town. In effect, all buildings within the district are historically designated and require approval from planning before modifications can be made. Approvals are relatively straightforward for newer buildings with no heritage value, but other modifications to other buildings will be controlled to preserve their heritage value. If you are considering buying a property along Picton Main Street, you should review the HCD Plan before making an offer to see how your vision for the building fits in with the plan. Alternatively, a condition could be included in an offer to allow for consultation with municipal planning to confirm that the HCD plan will support your plans for the building.